More Sun and Moon plushies! A new batch of Sun and Moon plushies has been added to the Pokemon Center this week! 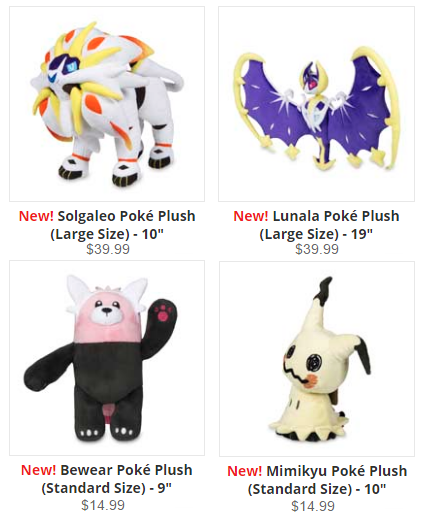 Older plushies like Vaporeon, Dragonite, Arcanine, Ninetales have also been restocked.